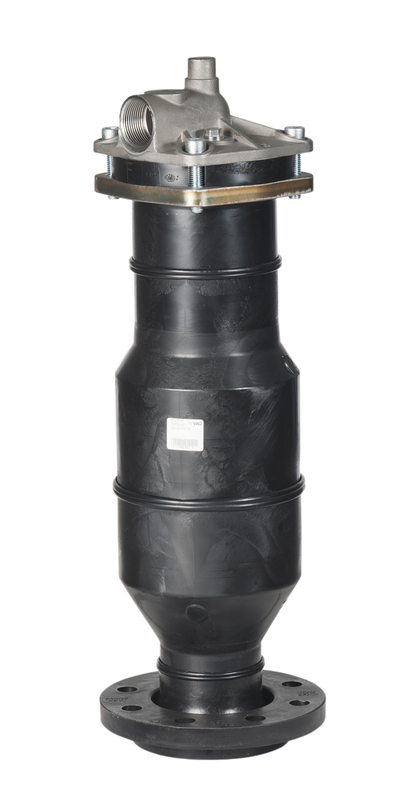 Polyethylene air valve for waste-water applications. With extended internal parts to protect the functional parts from soiling. The corrosion- and incrustation-free plastic body allows easy maintenance and handling due to its low weight. Suitable for use in waste-water applications, in power plants and in industry. Outlet female threaded: acc. to DIN ISO 228 G 1 ¼", G 2 ½"